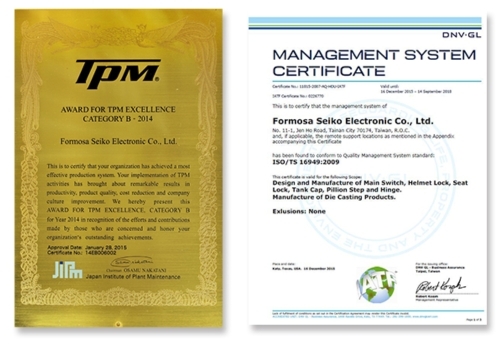 Formosa Seiko Electronic Co., Ltd. (the abbreviation is JINKUN) was established in 1974 ,and manufacturers motorcycle main switches ,shutter magnetic lock, seat lock, helmet lock, oil level gauge, fuel tank fill cap lock and electronic parts such as regulator. 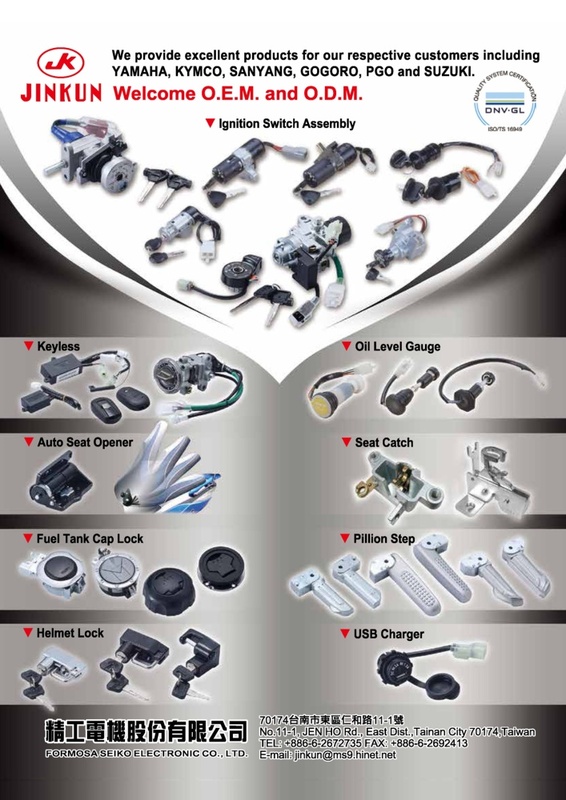 We have over 30 years experience in product development and provide high quality OEM parts for Taiwan YAHAMA, KYNCO, SUZUKI motorcycle factories. We are also ISO-9002 & QS-9000 international standard certified to ensure you quality products. In addition to our regular product lines, specific product such as switches for agriculture, electric vehicle, children toy car, etc. can be custom made and designed according to your specifications.